You can easily upload files to your site using an option File Manager in cPanel. The steps to be followed are: 1) Login to cPanel Using Login credentials, If you do not know Login credentials please contact hosting support term. 1) Login to WHMCS admin panel. 2) Click on the tab Setup. 3) Go to Others >> Database Backups. 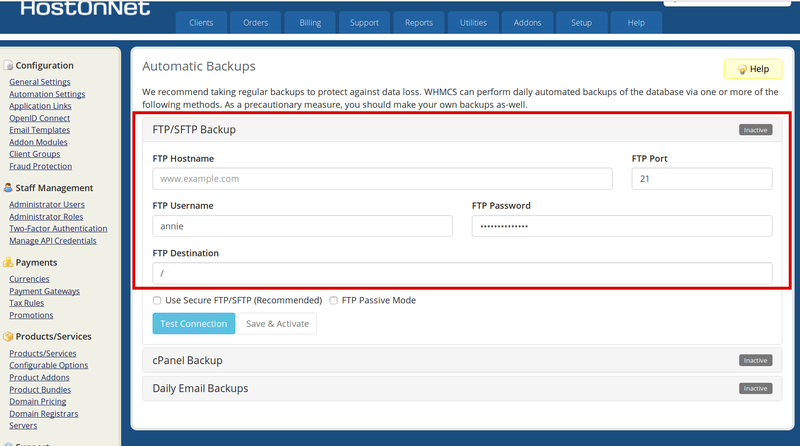 4) In this section, we can configure Daily Email Backup or FTP Backup. Both methods can be enabled to run simultaneously.